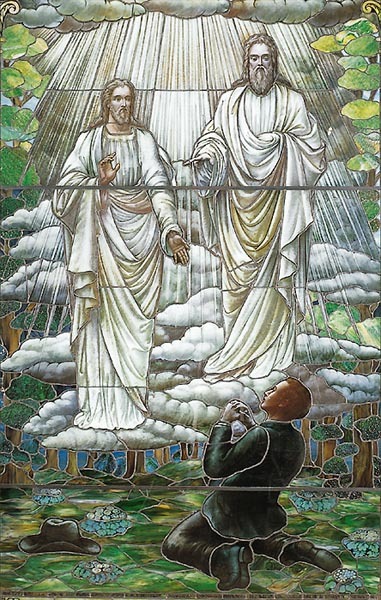 Mormons believe that God the Father and Jesus Christ appeared to Joseph Smith, the founder of Mormonism, in the spring of 1820. They call this event “the first vision” and according to former church president Gordon B. Hinckley, the credibility of the church hinges on the veracity of that story. But which version of the first vision story did he mean? The canonized version of the first vision story is found in the Pearl of Great Price (2013, pp. 47-51). This story occupies a central place in Mormon theology. “Our whole strength rests on the validity of that vision. It either occurred or it did not occur. If it did not, then this work is a fraud. If it did, then it is the most important and wonderful work under the heavens” (Hinckley 2002). How can someone determine whether the first vision actually occurred? The most logical course of action would be to analyze the story and look for facts, clues and indirect evidences to confirm or deny it. This, however, is not the way Mormons prefer to go about it. Their conviction of the veracity of the first vision, and by extension of their entire church, is “based on the witness of the Spirit, not on any combination or accumulation of historical facts” (Oaks 1985). By appealing to the supernatural, their convictions have become immune to the facts. One of the first problems we run into when trying to verify Joseph Smith’s story is that until now, not a single source from the 1820s has been discovered which mentions the first vision. This is strange in the light of Joseph Smith’s statement that he told his story to a Methodist priest a few days later, after which “men of high standing” of “all the sects all united to persecute” him, a persecution “which continued to increase” (Pearl of Great Price 2013, p. 50). Such a large-scale, coordinated and sustained action would have left some traces: articles in the local papers, tracts by the “men of high standing”, letters or diary entries by neighbours, friends or acquaintances – nothing of the kind has ever been found. This realization leads to a second problem, which is that for decades, Joseph Smith himself also remained silent about his first vision. The first published version dates back to 1842, 22 years after the fact; in the years between, not a single reference to this event is to be found in Mormon publications. In 2013, though, an 1853 source has been discovered in which an early church leaders claims to have heard Joseph Smith speak about a vision in 1833. This source mentions some of the now familiar elements from the first vision (bright light, all Christian churches wrong) but speaks of an angel rather than Jesus and/or God. In view of the importance of the first vision to Mormons today, it is hard to imagine Joseph Smith remaining silent about it all those years. But even without such a presentist bias, it seems improbable that a person who founds the “Church of Christ” in 1830 forgets to mention for more than 10 years that Jesus has appeared to him in a vision. In Joseph Smith’s first version of 1832, only Jesus appears to him, the 1835 version adds “another personage” which, by 1838/39 turns out to be God the Father. The 1832 version only details an appearance by Jesus, the 1835 version adds strange noises which, by 1838/39 had grown into an “actual being from the unseen world”. The first version from 1832 concludes that Joseph Smith could not find anybody who would believe his story, by 1838/39 he was suffering from “bitter persecution” and in 1842 he claimed his house was “frequently beset by mobs and evil designing people” and he was “shot at several times”. With each new telling, the simple, personal conversion story of 1832 grew into the monumental event which today’s Mormons read into it. Canonizing the 1842 version prevented this development from being placed in its historical context without questioning the divine foundation of the church. “It either occurred or it did not occur, ” those are the only two flavours available. Which is a pity because the historical context in which this development took place is very interesting and paints a lively picture of Joseph Smith and early Mormonism.